Come join me for the first ever Little Italy Cooking Class Healthy Eats style! Recipes in this class will feature beautiful Italian dishes that are completely satisfying and deliciously healthy! 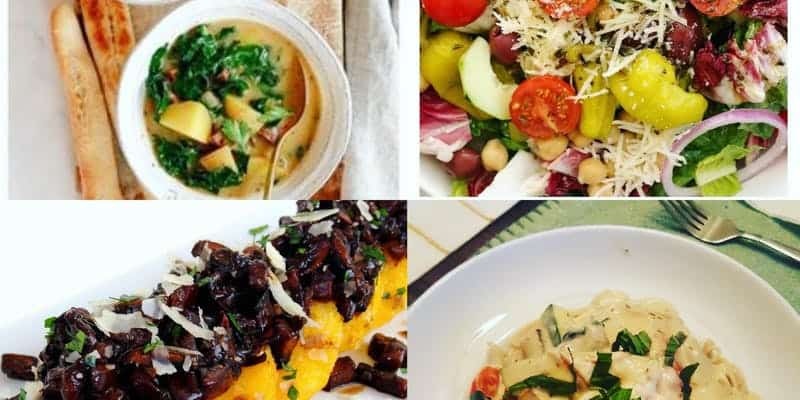 These are just a few of my favorite Italian dishes inspired by my travels to different Little Italy’s around the country and have been modified into guilt-free everyday dishes. Five recipes to take home and enjoy in class. You don’t want to miss this class. This is a hands-on class where participants will be in groups helping to prepare one of the dishes to share with the class. Grab a friend, spouse, or family member and sign up for this perfect little taste of Italy you can recreate at home! Buon Appetito! All recipes are plant-based, dairy free and soy free. The pasta primavera contains gluten but all other dishes are gluten free. Only 16 spots are available. Each participant will need a ticket to attend. Tickets are nonrefundable but are transferable to another person. Class transfers available one week before the class date.